Repair of MINI Vehicles | German Sport, Inc. Repairs of Mini Cooper vehicles in Walnut Creek should be left to the specialist at our shop. Since 1959 the Mini Cooper has braced roadways with its compact design and reliability. 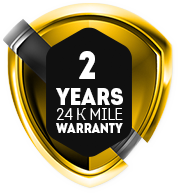 However, just like any vehicle, the Mini may need to be serviced or repaired in its lifetime. That is where German Sport comes in. We are the experts when it comes to repair of your Mini Cooper vehicle in the Walnut Creek area. Auto service and repair of Mini vehicle are some of our specialties. Your car isn’t ordinary and it shouldn’t be taken to any ordinary shop. That’s why we pride ourselves in treating our customers and their vehicles like they’re a part of our family. Our auto service list is extensive and some of our services include: oil changes, tune-ups, transmission repairs, engine rebuilds, brake repair, diagnostics and much more. 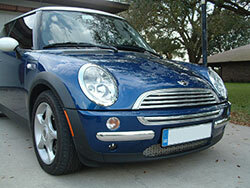 Since 1986 German Sport has been offering only top of the line repair of Mini Cooper vehicle to the Walnut Creek area. Our auto service specialists are dedicated to getting you and your vehicle back out on the road safely and in a timely manner while sticking within your budget. Our passion for fixing cars is match by our passion for driving. So come on down to German Sport or give us a call to schedule your Mini repair today.